Gingerbread Toys has been a proud member of the Prince George community for over 20 years! We love being your neighbourhood toy store, and supporting our community through various channels. We are proud to support the Prince George Child Development Centre with donations for gift wrapping. Our support continues with donations for fundraisers in our local schools and other charitable organizations. 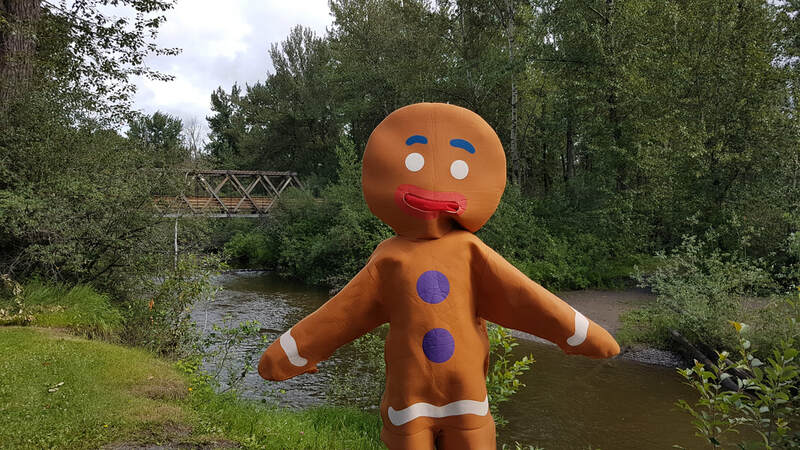 Gingy enjoying his summer adventure at Cottonwood Island Park! "Grow your community, Buy local"